Quantity is important when you’re looking at a vendor managed inventory provider to handle your class “C” components. You need to be certain that your stock levels will be consistent, that your employees will have access to the parts that they need and that you’ll receive the timely, accurate shipments that your operation requires to run efficiently. However, quantity isn’t everything… you also need to be able to depend on your vendor managed inventory services. You need to know that the class “C” components they are sourcing for you are able to perform to your standards. You need to be able to rely on your VMI provider to not just source parts, but to vet them for quality. Today, we’re going to look at why – and how – ASF Components is equipped to ensure the quality of your class “C” components inventory. As an ISO 9001-certified company, we have proven that we are capable of delivering a consistent flow of high-quality, reliable parts. On top of that, ISO 9001 certification illustrates our commitment to on-time delivery, top-notch customer service and continued improvement. In order to determine the integrity of the class “C” components we are sourcing, we’ve established an on-site ISO-certified inspection lab. When it comes to providing our clients with critical parts, we don’t take any chances: we do the work ourselves, we check every component and market test every supplier. ASF Components has a staff of quality management personnel available on-site 24 hours per day, 7 days per week. If you have concerns, we’re available any time to address them. Furthermore, our staff is constantly working to source the best parts at the most cost-efficient prices. At ASF Components, we don’t want to simply provide you with the parts that you need. We want to provide you with high quality, dependable parts that address your needs. We aim to free you from concerns over the quality, integrity or reliability of the class “C” components that you have in your inventory. 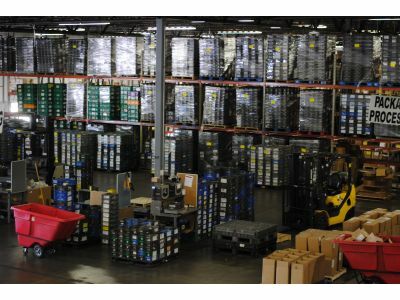 If you’ve been searching for a way to streamline your class “C” components inventory, contact us today to discuss the many benefits of vendor managed inventory from ASF Components.